Retail Hunting and Fishing store located on Main Street in Barrhead, Alberta. Visit us on Main Street in Barrhead and check out our new inventory on Badlands hunting apparel, camo, and hunting packs. You can also browse a list of our Badlands Inventory Here. Kodiak Lake is a gun shop in Alberta with a massive selection of inventory, including ammunition, bows, handguns, and rifles. Come visit our store on Mainstreet in Barrhead. 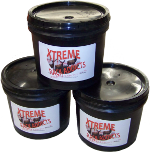 If you are outside of the area you can check our prices and availability here on our site or using the Kodiak Product Search. Our store has a wide variety of camping and fishing gear, shooting targets, outdoor clothing, and several impressive game-mounts to check out around the store. If you are outside of Alberta give us a call, we ship products across Alberta and other Canadian provinces.